Coast To Coast Imports is a luxury auto dealer in Indianapolis, Indiana, servicing two locations, with a third opening next year. 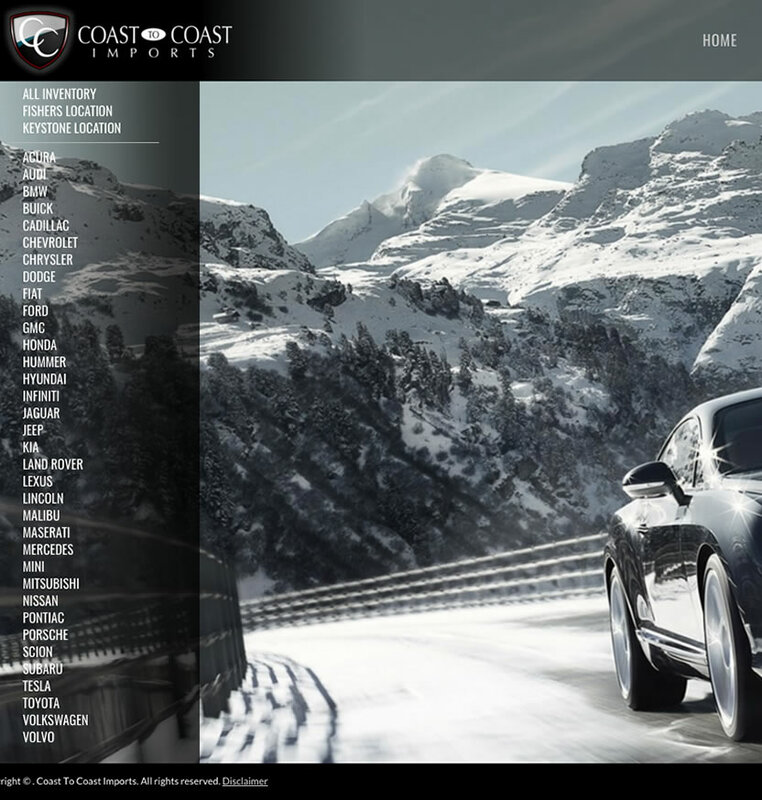 Coast To Coast needed a website upgrade that involved technical and design improvements. The major component of this project was allow inventory entered into their Dealersprocket management system to be displayed on their website automatically. This was a major and highly specialized task that allows Coast To Coast to save time, sell more cars, and maintain the custom look they desired.